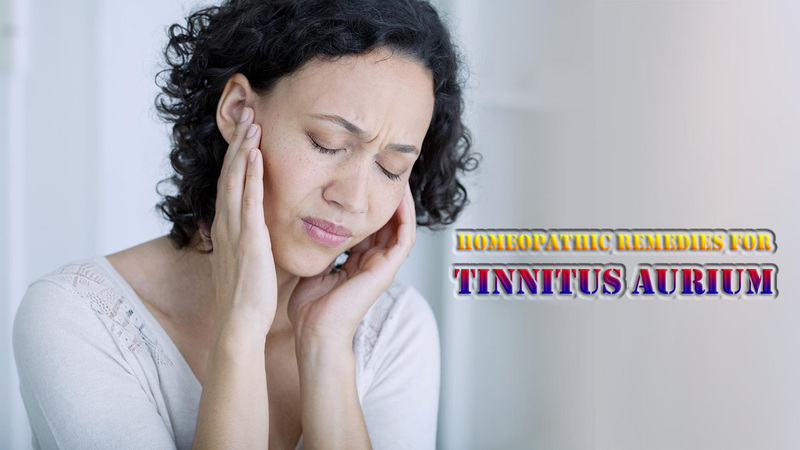 In this condition, secondary to debility or over accumulation of ear-wax, or other conditions, various kinds of noises are continually heard in the ear. If the noise is humming or pealling or roaring, Acid Phosphoric. 30. If the noise is roaring only in the morning and if there is itching, Nux Vomica 6-30. If the noise is rushing or humming, Chamomilla 6. In buzzing due to overuse of quinine, Acid Nitric. 6 or China 200. If due to brain congestion, Bell. 6. If accompanied with vomiting, Verat. Alb. 3, In hissing noise, Digitalis 6. Noises in the ear, sometimes with deafness, Thiosinaminum 3x-30.